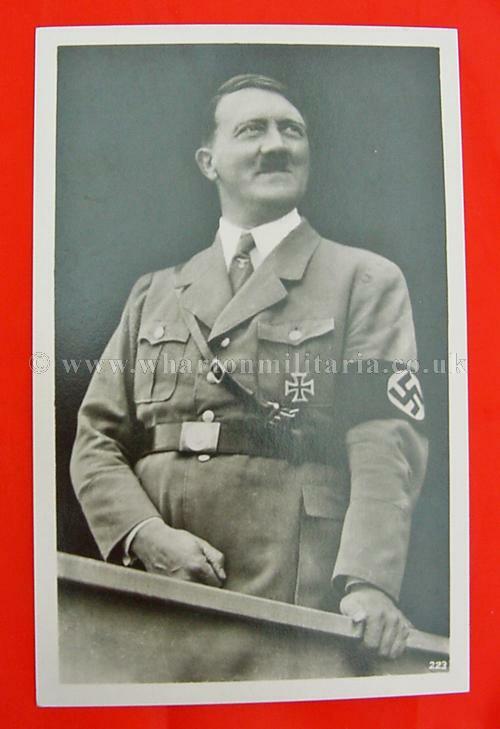 A scarce early NSDAP period postcard of Adolf Hitler in unused condition, circ 1938. Hitler is in uniform, leaning on a wall. 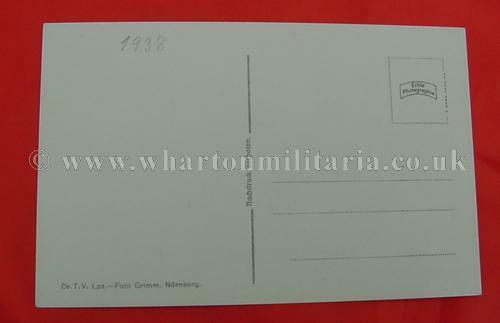 A nice clean postcard.